A very Happy New Year to all of you! ICCW events programme for 2017 started on 4th February with our popular Language Maintenance Classes in Chapter. We have a number of great surprises for you this year so watch this space. Our next event is the Book Club @Calabrisella, Cowbridge Road, Cardiff on Tuesday 21st February at 8:30 pm. 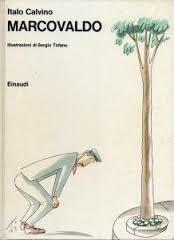 The book we will discuss is Marcovaldo by Italo Calvino. Mixed abilities welcome. Please let us know if you are interested in coming as seats are limited. This entry was posted in bookclub, Events, ICCW, slowfood, culture, News. Bookmark the permalink.